Returning to Buxton from the Monsal Trail is a challenge. The A6 with no sidewalk is pedestrian-hostile. The verge is littered with drinks cans and bottles, hub caps, poly bags, McDonald's cartons, and discarded bits of car radios, wing mirrors, etc. Some vehicles alter their line to give you safe clear space, a few slow down, some do neither. 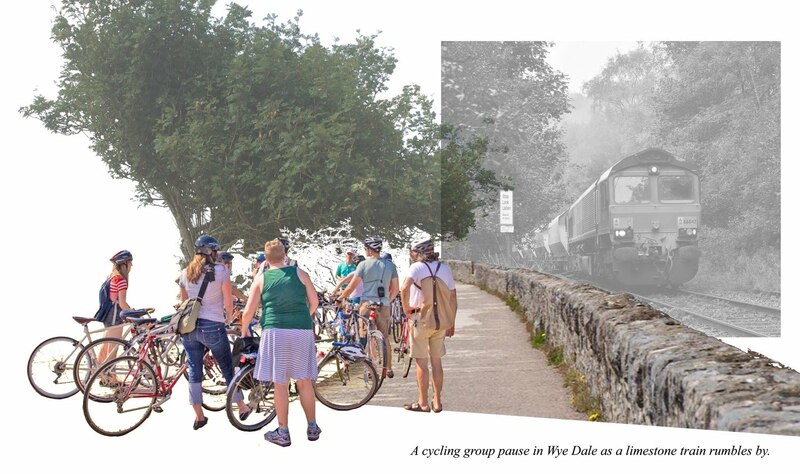 How much better would it be if the Monsal Trail continued to Buxton alongside the Wye Valley railway? 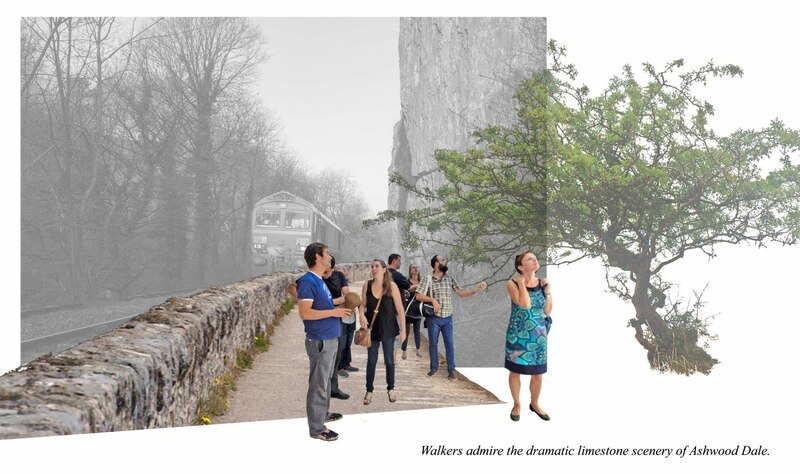 It would bring recreational cyclists into town from other starting points along the trail, relieve pressure on parking and access along the trail at places like Millers Dale and Monsal Head, and being located near public transport it might just even encourage some people to leave the car at home. A new Bakewell to Buxton bike-to-work commuter route would be possible. The Wye Valley along this route is beautiful, and a new perspective on this landscape could be opened up. A tourist focal point is possible at Ashwood Park complementing the revival of Buxton Crescent at the other end of the high street. There would also be regeneration opportunities to this eastern side of the town, which is clearly the poor cousin as things stand, but with great potential.